Interested in helping your community in their time of need? 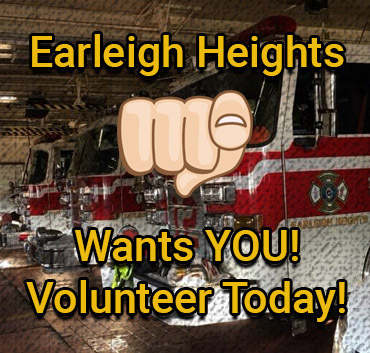 Become a hero and join Earleigh Heights Volunteer Fire Company! Help us to continue serving the community by making a tax deductible donation to the Earleigh Heights Volunteer Fire Company!